One of the regular joggers at the Fill asks me every morning, “Anything good here today?” He never stops running, so I have to shout out my answer. “Awesome,” he’ll pant as he disappears down the trail. He likes his birds to be big and preferably predacious. The lbb’s (little brown birds) don’t hold much interest for him. I have a lot of respect for raptors of all kinds, but the birds that truly inspire awe in me are the little ones that my jogging acquaintance runs right past. There’s just something about how small and yet how indomitable they are that appeals to my spirit: the Rufous Hummingbird that can speed like a bullet and stop instantly in front of a nectar-filled flower; the Bushtit that is barely the size of a golfball and weaves a nest the size of Shaquile O’Neil’s sock; the Yellow Warbler who looks like a fluffy Easter peep and has the strength to fly all the way to Central America. These are the birds that make me stop in my tracks. Yesterday, for example, the truly awesome birds at the Fill were six Black Swifts who appeared out of the misty mountains in the east like an arsenal of black scimitars cutting through the clouds. 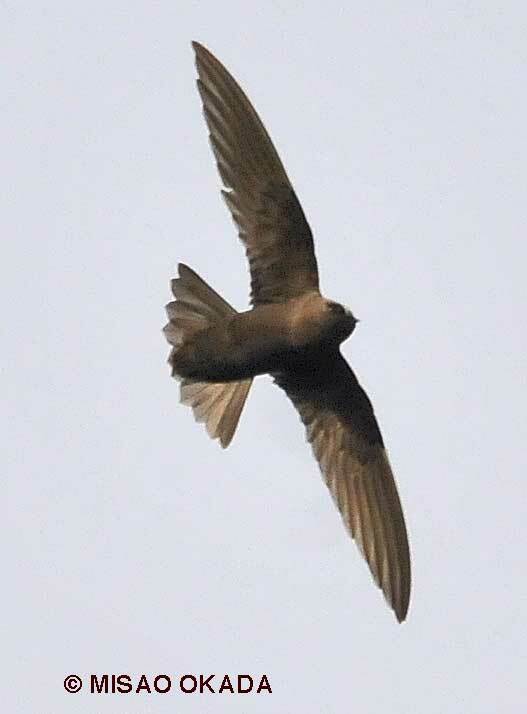 Black Swifts nest behind waterfalls, no one knows exactly where. They spend the winter in the far south, but we’re not sure exactly how far south. They are creatures of the wind, hunting in the sky, mating on the fly. On cloudy days in June, they wing their way from the Cascades to the lowlands to eat a few insects and then return to their mysterious haunts. When one broke off from the flock to hover right over my head, mastering the wind somehow without flapping, wings outstretched, hanging still in the air like the angel who tops the Christmas tree, my heart stopped, my ears heard only the wind, my mouth fell open. A feeling of wonder crept over me. Awe. This entry was posted in Uncategorized on June 25, 2011 by constancesidles.